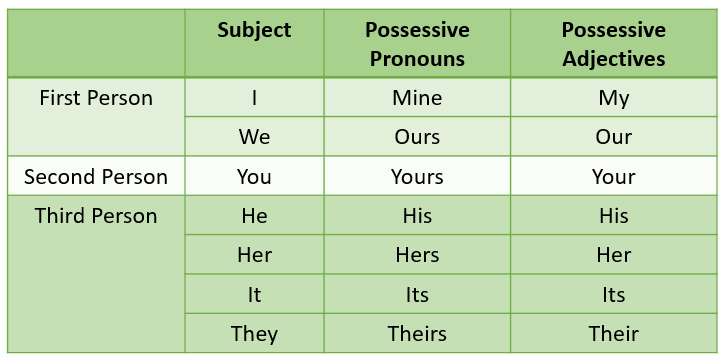 The following table gives the Possessive Adjectives and Possessive Pronouns. Scroll down the page for more examples and explanations. 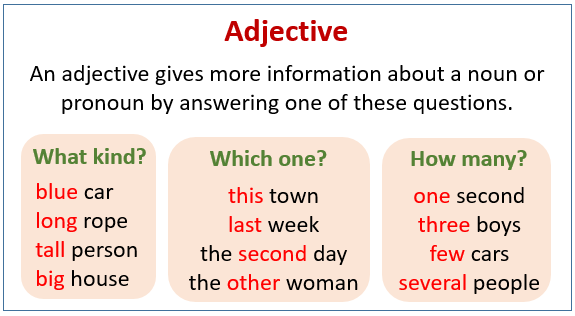 This video describes how adjectives are used in English. This is a very basic explanation.